I usually love Paul Mason's stuff, he's both radical and reasonable, credible enough to be given a job on Newsnight and, latterly, Channel 4 News. 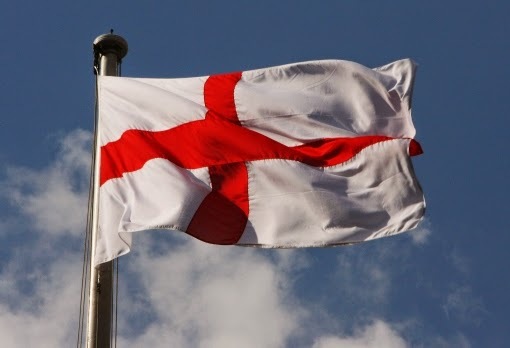 In the wake of the SNP's march on Westminster, he's written about the lack of an English identity beyond the things that connect it to the wider world. His failure to see anything in English culture beyond 'public schools and the officers class... the tennis club belt around London' is frankly baffling. northern, British and proletarian [rather] than English. It has no resonance for me. There's something of an irony there as he's from the Wigan area. The 'northern' he identifies with is northern England. If you look at Britain instead, as Mason says he does, that area is central. People in socially oppressed groups are forced to be conscious of that part of their identity. Those in the privileged groups often don't even see the existence of their group, let alone the myriad mechanisms of oppression it foists on the rest. To them, they inhabit an unbordered blank, normal space that lets them act as they wish. A lack of consciously seeing yourself as English is, in some ways, a very English trait. Someone may not think about, say, their cis-maleness and so would say it isn't part of their identity, but it has provided the norms that they embody, the behaviours they use every day. They are granted treatment and opportunities denied to people of other gender identity. They're playing the computer game on the easiest difficulty setting. The three things Mason cites aren't English, they're class based. He sees them as salient because he's from the lower classes who are disadvantaged. Those actually in the tennis club, public school officer class are as likely to think of themselves as 'just normal' as any other socially dominating group. Seems implausible from down here, doesn't it? But remember the time when David Cameron said his wife was unusual for not going to boarding school? That. The fact that English people tend not to see their cultural identity is a measure of its long-standing, unchallenged superior social position. As our immediate neighbours move towards terms of equality, we will start to see ourselves with the kind of depth that they have always had. We will begin to understand what we've been. And that's a lot more than public schools and tennis clubs. The irony is that Mason is immediately identifiable as English. His accent is not the BBC English adopted by English, Scots and Welsh alike, it is an unmistakably English accent. The funniest comment I read was "It’s not often I find myself in agreement with Paul Mason but I too wish he wasn’t English. ".